It was a six year journey. With friends, with family, with colleagues, with the Queen Mother, with YOU. I think this is perhaps the single greatest achievement of my life. 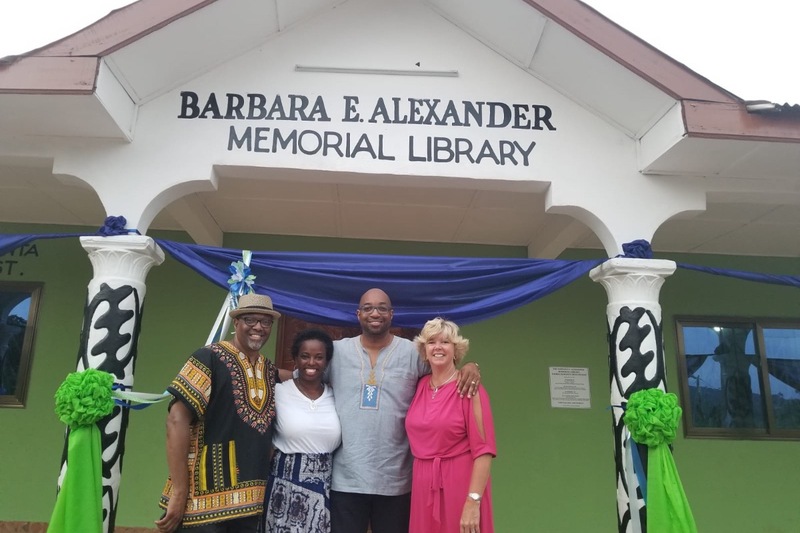 The opening of the Barbara E. Alexander Memorial Library and Health Post in the village of Timber Nkwanta/Konko in Ghana is only the start of the work we can accomplish together. With your donations we are looking to sustain the library, and expand this project to include the expansion of the W.E.B. DuBois Library in Accra, Ghana, to ensure that many students AND adults have access to his historic resources and books. Together, we can preserve the rich history of words that already exists in Ghana while building on those dreams. oin me and the LEAP team as we develop the LEAP for Ghana Libraries Initiative.